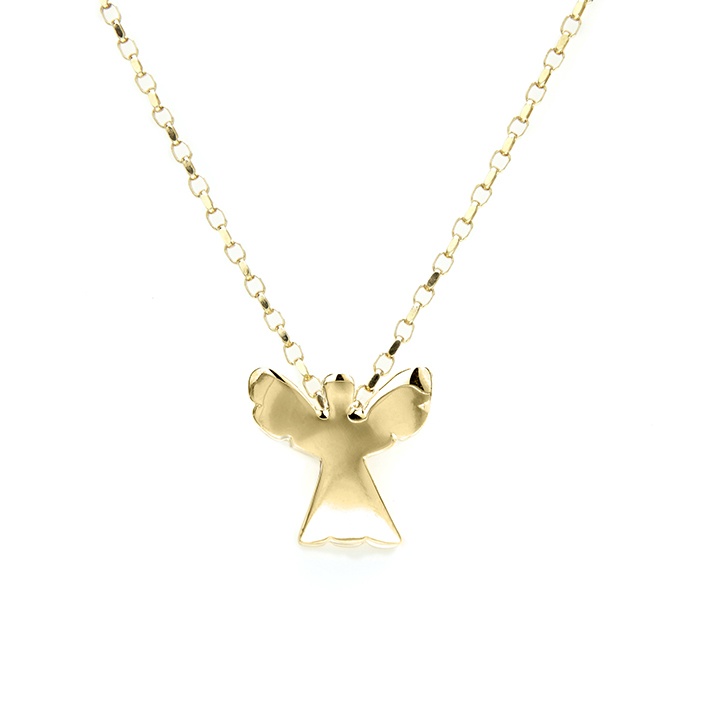 Made from 9ct gold, this sweet little angel measures 2cm in length and comes with a 16 inch 9ct link chain. This piece is also available in sterling silver or in sterling silver with rose gold halo. Posted in Children, Childrens Jewellery, Gifts, Gold Jewellery, Jewellery Collections, Necklaces, The Jewellery, Under €200.